Winter is the perfect time to work on strokes and fitness in the protected channel of the Feeder Canal. This is where your paddling can go from basic to stylish, graceful, and efficient! 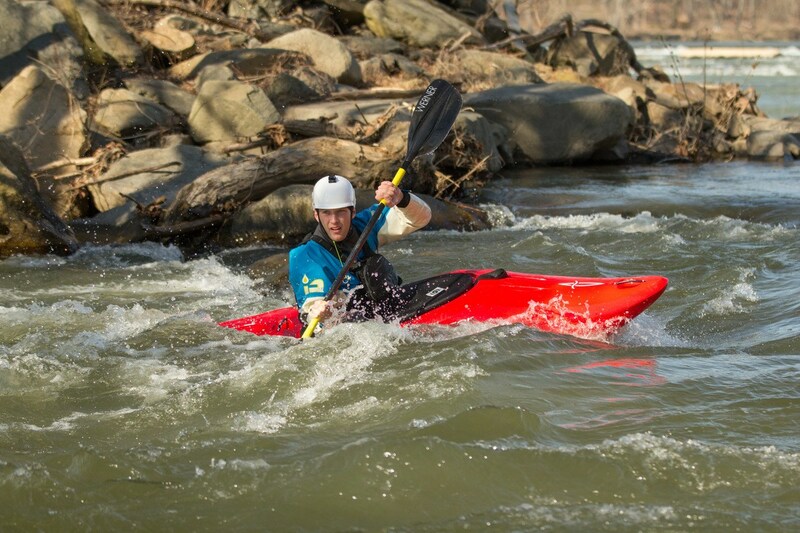 Solid technique gained from slalom practice provides a strong foundation for river running. Taught by current and former National Team members, you will learn to use your strokes, paddle with glide, and be precise in your lines. Each week classes will vary in focus; from surfing a wave across the river, to squirts and pivots. You will get a solid workout while having a chance to think about your paddling in a whole new way! These workouts are an integral component of the Liquid Adventures program at all levels, and designed to complement all our other classes. 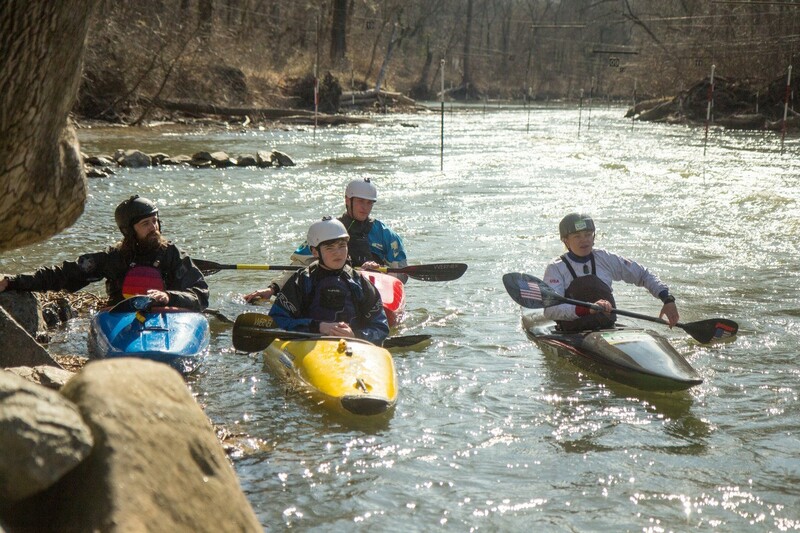 A step up from the summer Slalom for River Runners classes, intermediate and experienced paddlers alike will benefit. 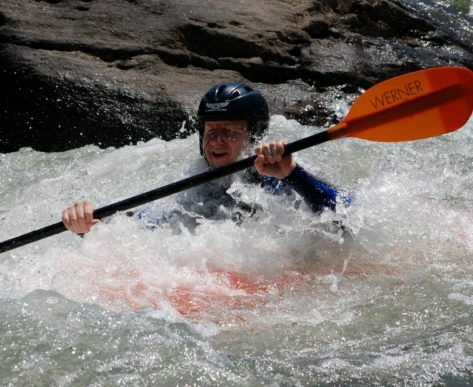 Don’t lose your hard-won paddling skills just because it’s winter! You must have a solid roll and adequate cold-weather gear to join us for this class. 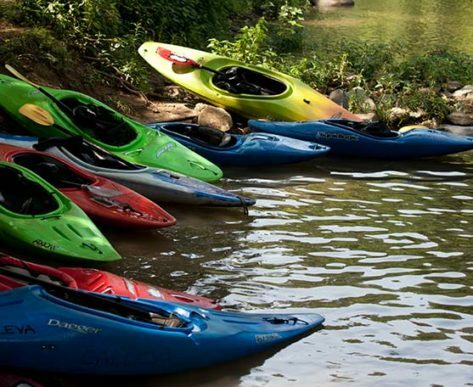 Intermediate paddlers are expected to bring their own boat and equipment. Students may use plastic river running or creek boats or may bring slalom boats. The instructor may teach from a slalom boat. Advanced Workout sessions are held some Sundays 12-2 pm. 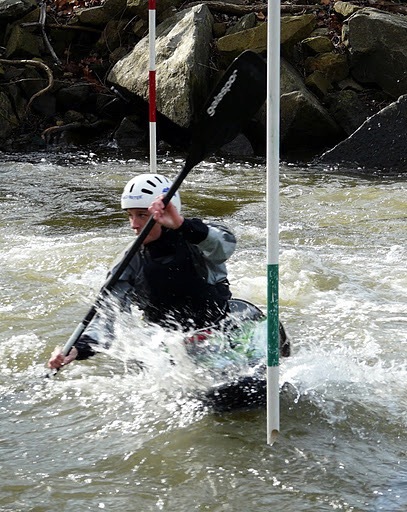 Students should have a good grasp on how to execute slalom moves (spins, upstream gates, attainments) and be able to remember longer courses. You should also have a boat with a low volume stern for the advanced class. Slalom boats are great but so are Braaaps, RPMs, etc.